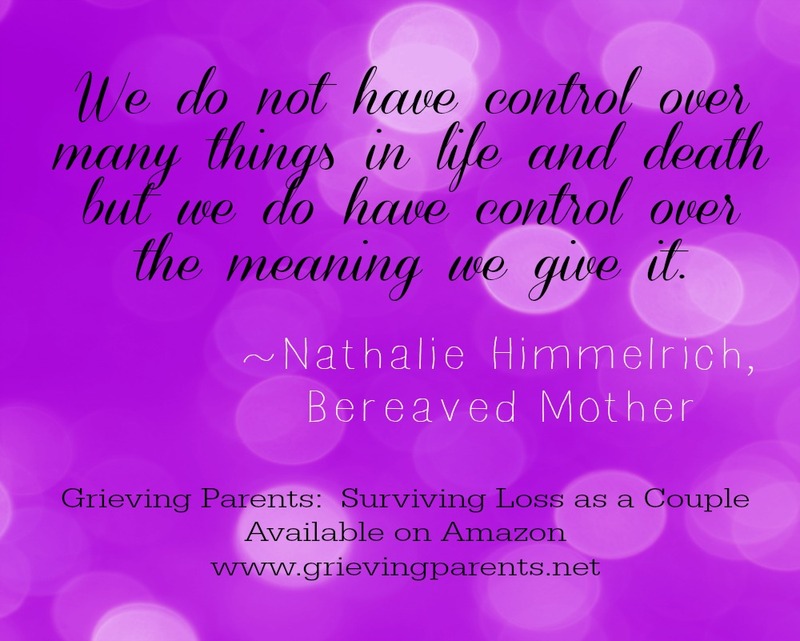 It’s been one year since Nathalie Himmelrich published her book Grieving Parents: Surviving Loss as a Couple. I can attest to the beating my marriage took after we lost our daughter. It is so difficult to keep yourself afloat, let alone manage a relationship with your spouse or partner. If you haven’t had a chance to check out her book, please consider it. 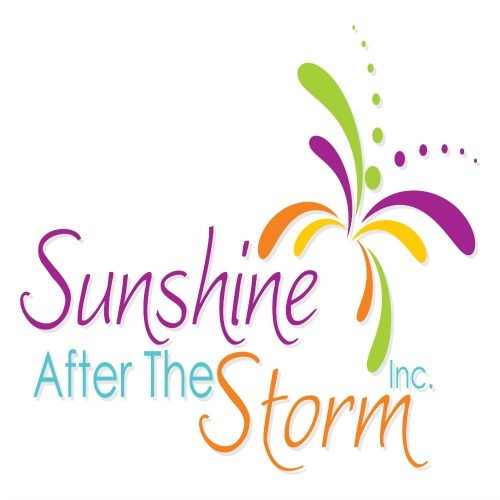 It is an amazing resource for parents trying to survive the catastrophic event of losing a child… filled with coping strategies, tips, and input from other grieving parents. I’d like to share a quick interview with Nathalie about the book. This book focuses on the effect parental bereavement has on the parents and their relationship. It is about surviving loss as a couple and the re-emerging from grief into a life of joy and melancholy, laughter and tears, happiness and sadness. Not either or but AND. ‘Surviving Loss as a Couple’ is about how you can re-emerge from this crazy ride through the darkness of grief with renewed depth and understanding with your partner. Your relationship can and will be affected and this book provides ways to support yourself and each other through the process. This book is based on bereaved parents’ needs, challenges and detailed descriptions of what has helped numerous couples that I have interviewed – couples in varying situations and at different stages in their journey with grief. It allows parents to move through grief with conscious awareness and reemerge as a couple. I started writing to process my journey with grief right from when I started grieving. As I have mentioned in the book, I was not able to verbally communicate so I started writing. Encouragement from my readers pushed me along to find out about how to write a book. Exactly a year ago, I started the process of writing this book. It was two years after our daughter had passed away. It was just a year after we had relocated to Switzerland. Grief was still raw at times. I felt overwhelmed. I was not yet feeling at home in a country that I called home. Looking back I know that writing helped. Not just helped, but was essential in moving me forward. I created something in honor of my daughter that would assist other grieving parents on their journey, reaching out to them in the way that other support had found me. I believe that the couple’s relationship is an integral part of healing. If there is acceptance and understanding individually and together, the healing is much easier and gentler. To my knowledge, there is not much material out there written for the couple post-loss and given the immense challenge they go through, one would think it to be an invaluable resource to have. As the title says, Grieving Parents: Surviving Loss as a Couple, is for couples after they have lost a baby or child. It is also for those who act in a supporting role to those parents; people like social workers, hospital staff, nurses, doctors, obstetricians, gynecologist, grief and loss counselors, bereavement center staff, hospital chaplains, funeral directors, support groups and anyone else who is dealing with parents after loss. What is the most important take-away from your book? What I would like couples to walk away with is the awareness and understanding of differences of grieving (both in time and manner) and the acceptance of the partner’s experience and expression to differ from theirs. This is a pivotal step in being able to healthily deal with the grieving journey. How is this book different than other books for grieving parents? There is not much available specifically for grieving parents, especially not a book that I have found targeting the couple’s relationship post-loss. This book also combines personal and professional experiences, not just from me but from couples I have interviewed and therefore is a valuable resource that I believe is still missing on the market. What intent do you follow with the book and the interviews? As mentioned above, it is really about bringing awareness to the process of grief, one that we will be dealing with sooner or later in our lives. My wish is that through breaking the silence we enable society to be more open and understanding with each other, allowing and accepting the experience of grief, however it may be expressed. I hope my sharing will encourage more supporters to stand strongly with someone in emotional pain (grief or other) without the urge to fix them or make them feel better before they are ready themselves. It is my vision that the book is easily available to those who need it at hospitals, bereavement centers, doctor’s offices, (in)fertility clinics, funeral homes, and in support groups.